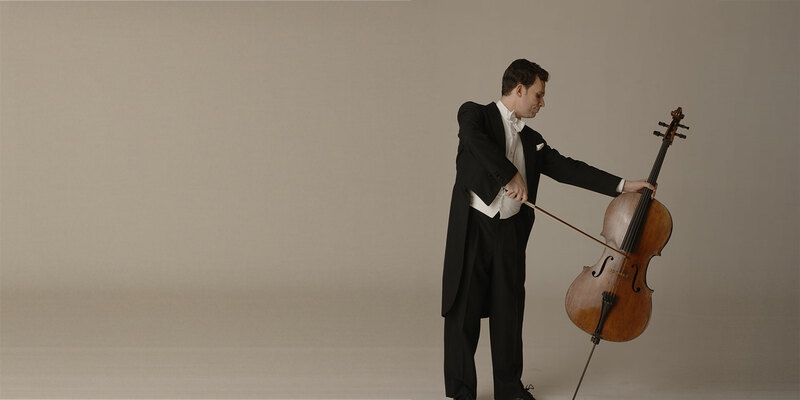 Critics have hailed American cellist Brinton Averil Smith as a “virtuoso cellist with few equals,” describing him as “a proponent of old-school string playing such as that of Piatigorsky and Heifetz.” His debut recording of Miklós Rózsa’s Concerto with the New Zealand Symphony Orchestra won international critical acclaim, with Gramophone praising Smith as a “hugely eloquent, impassioned soloist,” Of his most recent live recording of the revival of the Castelnuovo-Tedesco Cello Concerto for Naxos, BBC Music magazine wrote “his is a cast iron technique of verve and refinement put entirely at the service of the music.. The artistry on display here is breathtaking.” Mr. Smith has collaborated in chamber music performances with Yo-Yo Ma, Lynn Harrell, Emanuel Ax, Gil Shaham, James Ehnes, Sarah Chang and Dawn Upshaw and his performances have been broadcast throughout the world including, in the US, on CBS Sunday Morning and NPR's Performance Today and Symphonycast. His live performances on youtube have been viewed nearly a million times, including over 250,000 views of an encore of Paganini's 24th Caprice. Mr. Smith has been the principal cellist of the Houston Symphony since 2005, and is also a faculty member of the Shepherd School of music at Rice University and the Aspen Music Festival. He was previously a member of the New York Philharmonic and the principal cellist of the San Diego and Fort Worth symphonies. At age 10, Mr. Smith was admitted part-time to Arizona State University, studying mathematics, music and German, and he completed a B.A. in mathematics at age 17. He received his masters and doctoral degrees from Juilliard, studying with renown cellist Zara Nelsova and writing on the playing of Emanuel Feuermann.